iMac 27" Logic Board Screw Set. 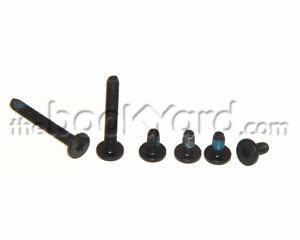 This screw set consists of one 24mm T10 screws and four 7mm T10 screws. Please note that this screw does not include the top left hand side 24mm screw which screws into the Hard drive surface mount, this particular screw is included in the 'Hard Drive Mount Right Hand side Screw Set'. Please see the listing for this screw set.